On October 31, Halloween night, hordes of the undead will rise and party with the living as J.R. Usi Presents-- MAKATI AFTER DARK: RUN & SURVIVE HALLOWFEST-- the grandest and most exciting Halloween party of the year. 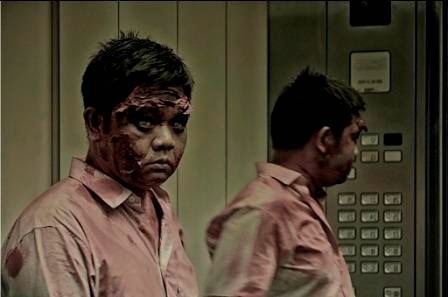 With 3,000 zombies in a “FANTASY RUN” designed and directed to feel like a movie set, the run promises to give participants the most thrilling experience right at the heart of Makati’s financial business district. Coinciding with the FANTASY RUN is an ALL-NIGHT STREET FESTIVAL adjacent to the race course featuring several TOP LOCAL BANDS, DJ’s, CAR SHOW, GTMACCON PINOY KOMIKS and COSPLAYERS CONVENTION, MERCATO CENTRALE FOOD FEST, and several other side pocket events to keep you up ‘til sunrise! Beyond the festivities, however, the underlying advocacy of Makati After Dark is to gather funds for the displaced families affected by the recent earthquake in Bohol and Cebu. “We’ve all seen the damage and how the calamity has affected its residents, especially the children that is why we will be donating part of the proceeds in the relief efforts, we hope this would greatly help them recover and return to their normal lives,” Usi explained. Headlining the bands that will be performing at MAKATI AFTER DARK are CALLALILY, SANDWICH, 6CYCLEMIND, CHICOSCI, GRACENOTE, MOONSTAR 88, and several other surprise guests—each one promising to perform their biggest hits and newest songs. In addition, a separate DJ setup will also be in place for those who’d rather dance the night away with other celebrity guests expected to make an appearance and join in the festivities. Foodies are also in for a treat as MERCATO CENTRALE will be holding one of its biggest Food Bazaars at the venue and will offer party goers a wide array of choices that will satisfy all your cravings. See coolest and sleekest cars in a special CAR SHOW that will showcase some of the most pimped out rides, exotic cars and numerous high-end custom cars. Kicking off the festivities will be GTMACCON 3 Pre-Event where Pinoy Komiks artists and Pinoy Komiks Cosplayers can meet and interact with their fans. Other side events include Zombie Movie Marathons, street performers such magicians, stilt-walkers, mimes, fire breathers, dancers, exciting LAN Games and many more. 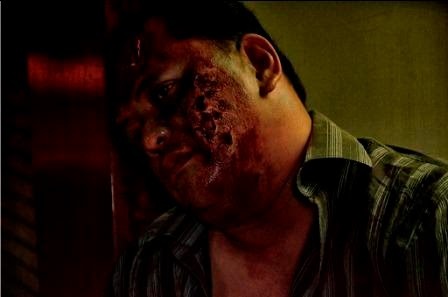 Visit www.makatiafterdark.com for more information and sign up either as part of the Human Survivors or be among Zombie Horde. Registration Fee of Php1,000 includes souvenir event shirt, race bib, life belt, swag bag with Halloween treats, event wrist tag, and access to Hallow Fest event grounds. Registration centers are located at TOBYS ARENA GLORIETTA 2, TOBYS ARENA SM MOA, TOBYS SPORTS SHANGRI-LA MALL, and RUNNR TRINOMA. For non-runners entrance to the Festival Grounds, concerts and Hallow Fest is only P500. Tickets are now available at Ticketworld Outlets and at the venue. John Richard Usi a.k.a. J.R. Usi is a Filipino-American based in Las Vegas, Nevada and Los Angeles, California. His vast experience in the U.S. mainstream entertainment industry as a promoter and booking agent has allowed him to establish solid personal relationships with some of the top celebrities and musical performers in Hollywood.